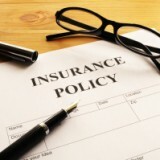 Home » Bad Faith » Insurer who honours policy may still breach the duty of good faith. Insurer who honours policy may still breach the duty of good faith. On February 25, 2013, the Ontario Court of Appeal substantially allowed an appeal from a lower court decision striking out numerous claims in a proposed class action relating to the sale and administration of four types of life insurance policies. In Kang v. Sun Life, 2013 ONCA 118, the Court of Appeal held that plaintiffs’ claims for breach of duty of good faith and fair dealing and for deceit and fraud were not mere reiterations of the plaintiffs’ claim for negligent and fraudulent misrepresentation and should be allowed to stand. Their claim for breach of contract was based on ambiguous terms in the contract, and was likewise allowed to stand. A claim relating to settlement entered into by the defendant insurer was struck out on the basis that no relief was being claimed. This was a proposed class action involving plaintiffs who had purchased four different types of universal life insurance policies that had been sold to class members by Metropolitan Life Insurance Co. (“MetLife”) between 1983 and 1998. The defendant, Sun Life Assurance Company of Canada (“Sun Life”) was the successor corporation of MetLife and was sued in that capacity and for its own role in administering the policies. Sun Life brought a successful motion to have a number of the plaintiffs’ claims struck out on the basis that the pleadings did not disclose a reasonable cause of action. The plaintiffs’ principal claim was for negligent or fraudulent misrepresentation and this claim was not challenged. On appeal, it was noted that in order for a claim to be struck out, the onus was on Sun Life to show that it was plain and obvious that the claim could not possibly succeed. With respect to the plaintiffs’ claims for breach of duty of good faith and fair dealing, the Court of Appeal held that the motions judge had framed the plaintiffs’ claims too narrowly as an allegation that Sun Life had breached its duty of good faith by failing to administer the policies in accordance with the representations made during the sales process, rather than in accordance with the policies as they were written. The Court of Appeal noted that neither the motions judge nor Sun Life had provided any Canadian authority for the proposition that an insurer who has complied with the express terms of the contract cannot have breached its duty of good faith and fair dealing. The plaintiffs were able to point to the case involving a franchiser-franchisee relationship where it was held that “the fact that contractual terms are ultimately complied with, does not mean that there has been no breach of the duty of good faith”. It was held that the same proposition may apply in the insurance context and the plaintiffs’ claim could possibly succeed. Furthermore, the Court of Appeal found that the plaintiffs’ claim on the basis of the breach of a duty of good faith and fair dealing was being advanced on the basis of allegations that Sun Life failed to disclose or remedy misrepresentations made by MetLife when the policies were sold and it was held that it was at least arguable that an insurer’s duty of good faith precludes it from concealing from its insureds facts it knows to be inaccurate. The plaintiffs also claimed that Sun Life breached the duty of good faith and fair dealing by obtaining releases and entering into settlements without making full disclosure or by knowingly and systematically refusing to honour legitimate claims made by its insureds. Sun Life acknowledged the viability of the claim regarding systematic denial of legitimate claims. The Court of Appeal concluded that it was clear that the jurisprudence on the duty of good faith and fair dealing generally, and as it applies to the insurance relationship, is not settled and therefore an allegation that the duty has been breached should not be dismissed on a preliminary motion. It was held that the claims for breach of the duty of good faith and fair dealing should be allowed to go forward. With respect to the claims regarding breach of contract, the motions judge held that there were no express terms of the contract as alleged by the plaintiffs and that the express terms of the contract stood against any implied term. He therefore concluded that it was plain and obvious that there was no tenable breach of contract claim. The Court of Appeal disagreed that the express terms of the policy in question were as clear as the motions judge considered them to be. The term “maximum premium” was not defined anywhere in the policy but there was a chart titled “maximum premium” showing the corresponding rates for various forms of coverage. There was no express provision that Sun Life could charge a policy holder more than the maximum premium. It was held that at the very least, the meaning of the term “maximum premium” was ambiguous and the claim ought to stand. With respect to the claims for deceit and fraud, it was held that those claims were distinct from the plaintiffs’ claim for negligent or fraudulent misrepresentation. The allegations of deceit and fraud concerned Sun Life’s ongoing conduct in administering the policies, long after the sales process during which MetLife made the alleged initial misrepresentations and the claims should not have been struck out. The plaintiffs had also alleged that Sun Life entered into settlements with and obtained releases from class members without disclosing to them that their policies were sold on the basis of misrepresentation. They claimed that this was a breach of the duty of good faith and fair dealing and was also deceitful conduct. Those claims had been struck out on the basis that the pleadings did not reveal a cause of action and there was no representative plaintiff advancing a claim in respect of those allegations. The Court of Appeal held that the motions judge was correct to strike out those allegations because even though the plaintiffs had incorporated the claims regarding the releases and settlements into their duty of good faith claims and their deceit and fraud claims, they had not requested any specific relief in relation to policyholders who had entered into those agreements. The plaintiffs were given leave to add a claim for rescission or declaratory relief in relation to the releases. In the result, the plaintiffs were substantially successful in their appeal and the allegations concerning breach of the duty of good faith and fair dealing, breach of contract, and deceit and fraud were allowed to stand.